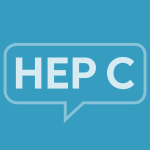 If you have been diagnosed with hepatitis C, or another medical condition, your doctor may want to perform regular blood tests to monitor your health. A common blood test is a complete blood count, also known as a “CBC”. A complete blood count is a blood test that measures the levels of red blood cells, white blood cells, and platelets in your blood. A CBC can also help your healthcare provider to evaluate your overall health. If your doctor has ordered a complete blood count, you may be wondering what the results mean, or if your results are “normal”. In addition to talking to your doctor, check-out our guide to understanding your complete blood count below. This guide covers the different parts of a CBC test, typical (“normal”) results, and some questions to ask your doctor. Patient information: Complete blood count (CBC) (The Basics). Uptodate. Accessed at: www.uptodate.com. 2014. Understanding your complete blood count. National Institutes of Health Clinical Center. Bethesda, MD: 2008. Mayo Clinic Staff. Liver function tests. Mayo Clinic. https://www.mayoclinic.org/tests-procedures/liver-function-tests/about/pac-20394595. Accessed January 21, 2019.